Universal health coverage is a goal shared by all members of the World Health Organization. The ways to achieve that goal might however be based on different strategies. As members are working on a common resolution for the approval of the Executive Board of the organisation, and are contributing draft text, India brought up the intellectual property dimension by suggesting the text includes mention of the use of international trade rules flexibilities to protect public health. 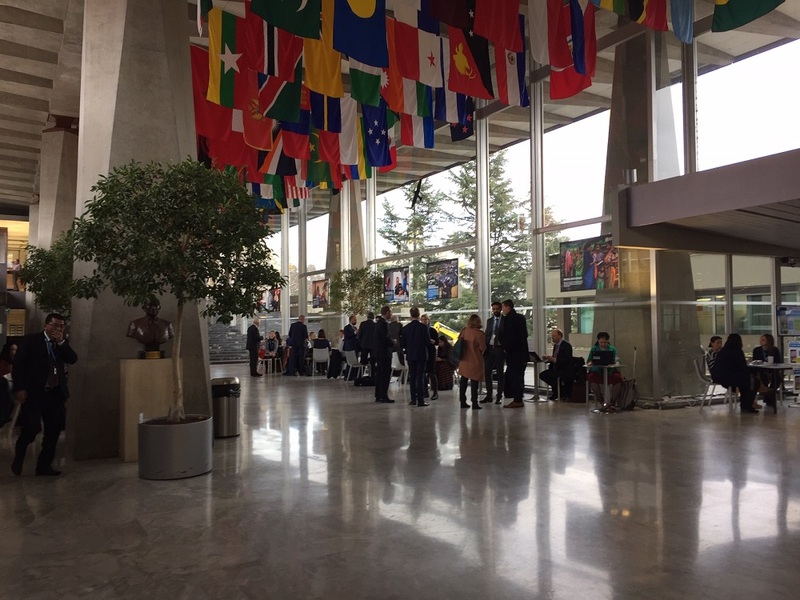 Delegates gather in the corridor outside the WHO Executive Board meeting today. As the 144th session World Health Organization Executive Board is opening today until 1 February, delegates are discussing draft resolutions to be adopted by the Board. One of those topics is universal health coverage (UHC), in the context of the preparation for the high-level meeting of the United Nations General Assembly on universal health coverage, later this year (IPW, WHO, 18 January 2019). The UHC issue is under agenda item 5.5 in the provisional agenda for the meeting. The 22 January version follows a 16 January version [pdf] which did not mention TRIPS flexibilities. According to the 22 January document, the European Union, Switzerland, and the United States voiced some reservation at the suggestion of India, Ecuador, and Peru. Separately, the EU, Uruguay, Switzerland, and India suggested a paragraph stating that “health is a major driver of economic growth and that current government mobilization and allocation of financial resources for health, especially in many low- and middle-income countries, is often not adequate for achieving universal health coverage and financial protection of the population. "India, Ecuador, Peru Bring TRIPS Flexibilities Into WHO Universal Health Coverage Discussions" by Intellectual Property Watch is licensed under a Creative Commons Attribution-NonCommercial-ShareAlike 4.0 International License.